The organization called "three dot dash" powers the most influential social entrepreneurs between the ages of 13-19 in 14 countries (six continents) who have found a solution or innovation to address a basic human need. Cascia Hall senior, Braden Milford, has been named a Global Teen Leader for 2019. 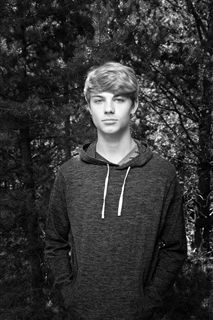 See Braden's bio below and check out three dot dash and all the 2019 Global Teen Leaders and their innovations at http://ed.gr/90uo…. While on a backpacking trip in the Rocky Mountains, Braden noticed bright red and orange colors in the streams that carried water to lakes and reservoirs. Upon further exploration, he discovered that the discoloration was the result of heavy metal discharge from a nearby mining operation and that the contaminated water was ending up in people’s homes as drinking water. After conducting extensive research, including numerous field studies and detailed experimentation, Braden created SymBead Aquatic Technologies. The SymBead system symbiotically associates environmentally sourced bacteria with algae in an immobilizing substance to form “SymBeads”. SymBeads intake the pollutants and are eventually removed and replaced with new beads in the water. With a price tag of only $10, Braden’s solution eliminates more than 80% of aquatic heavy metal concentrations. He has presented and been awarded for the SymBead system at several events, including the Stockholm Junior Water Prize, the Intel International Science and Engineering Fair and the Junior Science and Humanities Symposium. Braden is working to remove even more toxins with SymBeads in the future, including heavy metals, agricultural waste runoff, fracking wastewater and oil spills. He is currently finalizing the development of an additional technology that enables SymBeads to function as a universal system in the natural environment, without the need for any human maintenance. Braden hopes to see the SymBead system utilized to remove water pollutants across the world. Congratulations Braden on being awarded this very prestigious honor!